choice for astute car buyers. 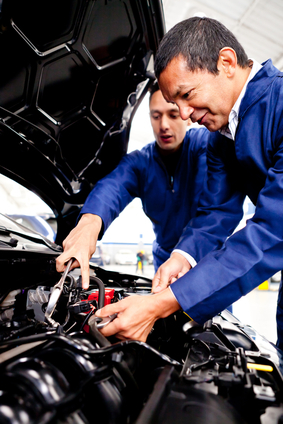 The comprehensive vehicle inspection ensures a detailed check of all the mechanics, body and interior of any used car. The comprehensive inspection incorporates over 250 separate checks and a 3-5km road test, making it one of Australia’s most detailed vehicle inspection reports. The five page report gives you the confidence you need to buy a vehicle with complete peace of mind. And if you’re not mechanically minded you need not worry, as each report is accompanied with direct personal feedback from your vehicle inspector. On top of the detailed mechanical and body inspections, the comprehensive inspection includes full interior check. I was very impressed with the quality of assessment and professional, friendly and prompt service. The advice provided was useful and aided my decision to buy the car, reassuring me in me decision. I would like to reiterate my appreciation of the thorough and personable service. In the past, I have used the RACV service and now believe yours is above and beyond what they offer. I will not hesitate in recommending you to family and friends. Monica B. P.S. I bought the car and it's a little ripper!